If you're not one to wear makeup, at least wear mascara like a pro. Not only will give your face a complete look but it will also make your eyes pop. Sometime a little goes a long way, a little mascara is all a girl needs! So take these simple tips and tricks and apply mascara like a pro. Choose a mascara that you like. There are so many mascaras out there on the market that it may be confusing. Choose the effect you want your lashes to achieve, whether it be volumizing, thickening, curling, or lenghtening...choose what you wish to achieve with your mascara wearing look. 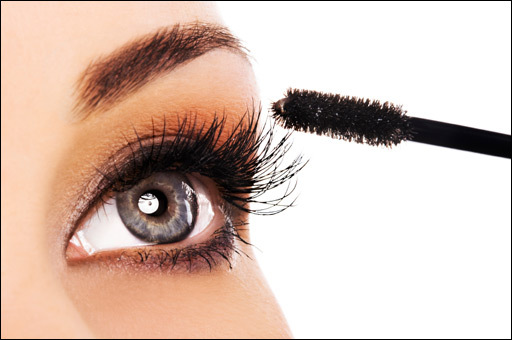 Take the wand, apply the mascara just at the base of the lashes. Wiggle the wand to the left and right, and continue to wiggle it up doing so until the tip of your lash. When doing the bottom lashes, tilt your head forward a bit and wiggle it side to side to the end of your lower lashes. If you accidentally wiggled too far, not to worry, just take some makeup remover and a q-tip and sweep away your mistakes.